#SP Companionship is the main reason for keeping pets. A dog, cat, rabbit (or other pet) is a fellow sentient being; a deep friendship between animal and human often develops. Pet owners enjoy spending time with their pets, and vice versa. There are many benefits from pet ownership, and most of these stem from this enjoyable, companionable relationship. Your relationship with your pet is most fulfilling when they are happy, healthy and full of life. There are many aspects to achieving this optimal health status – working closely with your local vet is part of it, to ensure their optimal protection from illnesses – and choosing the most suitable diet is another part. It’s important to get this right from the start: when you decide to get a new pet, choosing the right diet should be a key part of your “new dog checklist” as Perfect Fit™ outline. I’ve often said that there is no single way of feeding that is ideal for all pets: it’s always a case of choosing a good quality food, feeding it to your pet for a few months, and then reviewing how well they are doing. If they have a shiny, healthy coat, bright eyes, a healthy digestive system, good muscle tone and a spring in their step, then you have chosen well. If they have a dull coat, lacklustre eyes, a history of digestive upsets and poorly developed musculature, then you need to think again. I’ve recently come across a diet that ticks the important box of being “a good quality food”. PERFECT FIT™ is an advanced nutrition brand that helps to nurture your pet’s youthful spirit every day. What’s different about PERFECT FIT™? 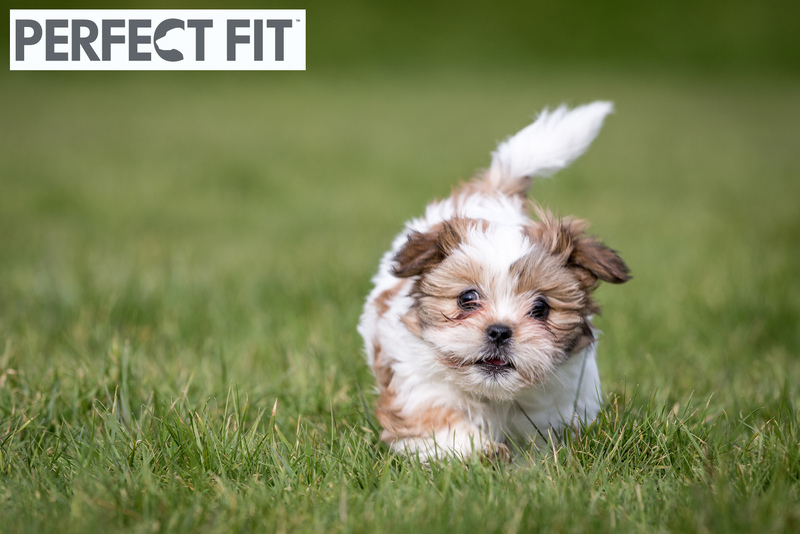 PERFECT FIT™ goes “beyond food” by offering a holistic experience based on emphasising the three pillars that are essential to pet well-being – Feed, Move, Play. PERFECT FIT™ includes the “Total 5 Formula”, a unique combination of nutrients with specific benefits to meet the particular needs of your animal. They have been developed by vets and nutritionists at the WALTHAM Centre for Pet Nutrition in the UK and Banfield Pet Hospitals in the USA. As well as choosing good quality ingredients, it’s important to feeding appropriate nutrition for a pet’s age and lifestyle. Young growing animals have very different needs to energetic, active adults or older, more sedate pets. I’m often asked if people can feed human food to their pets, and my rule of thumb is simply, not to do this. This applies all year round, even at times – like Christmas – when it’s tempting to give extra treats. One of the real advantages of manufactured pet food is that the products are legally obliged to contain all the necessary nutrients for your pet. If you try to home-cook for your dog or cat, it’s difficult to ensure that you are giving them everything they need. Whenever I say this, I hear people saying “I home cook for myself and I seem to do just fine”, I’m reminded of a human nutritionist who told me that the rate of poor nutrition in humans is far higher than you’d think, from unnoticed Vitamin D deficiency through to obesity. There’s a good argument that we humans could do with eating diets that are as nutritionally balanced as our pets. Regular exercise is an important part of keeping pets healthy, just as it is for us humans. Exercise keeps the muscles, circulation and respiratory systems toned, and equally importantly, exercise stimulates the mind, preventing boredom and promoting a sense of well-being. 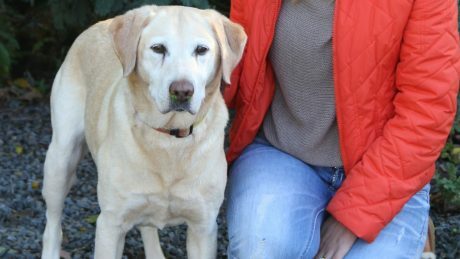 How much exercise should be given to a pet? Perfect Fit™ gives some good advice on this subject. The appropriate level of activity for your dog depends on several factors, including breed, age and lifestyle. Clearly, the needs of a two year old Dalmatian will be far greater than a twelve year old Chihuahua. That said, the average recommendation for a dog is half an hour of exercise, twice daily. Keep in mind that no matter what breed your dog is and regardless of whether he is a purebred or mixed breed, a puppy, an adult or a senior, all dogs need exercise. Even when your dog is very elderly, and perhaps unable to go for more than a short walk, it’s important to get them out and about. This is not just for the physical exercise: the mental stimulation of visiting new places, with different sounds and smells, is an important part of enjoying life as a dog. The key to achieving the ideal amount of exercise is to adapt your dog’s activity to his aptitude and needs. 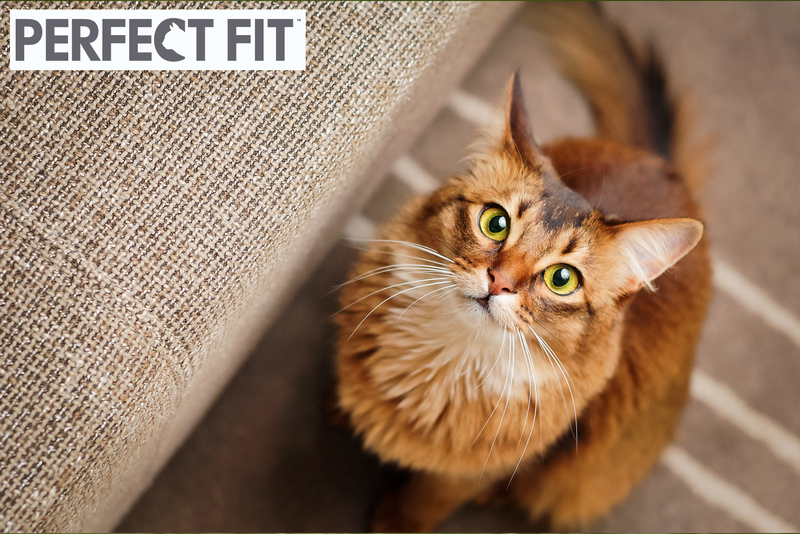 If you are not sure, then talk to your local vet for specific advice or see some of the helpful input on the Perfect Fit™ website. Cats should be given opportunities for exercise, but they are more likely to choose themselves what they want to do: see the later section on “play” to find out how you can encourage them. Nutrition plays an important part in the “move” part of your pet’s life: choose a diet that includes good quality proteins as well as balanced vitamins and minerals, to optimise the health of the joints and muscles. Play is as important for pets as it is for human children (and indeed, for human adults): all living creatures like to stop being serious once in a while, and playing is a great way to disengage from the humdrum routines of life. Play involving animals and humans together is an important way of bonding with your pet. Most people play with their dogs when they take them for walks. This can be as simple as throwing a ball to be chased, or it can involve running after them, “play bowing”, or any number of spontaneous activities. The important thing is the engagement between animal and human: the one-to-one eye contact, and the fact that you are focussed on one another while having fun together. Playing is even more important for cats; since they don’t get taken for routine daily walks in the same way as dogs, it can be more difficult to create “you and cat” time. Playing is the ideal way to do this. Playing has an additional importance to cats: it allows them to satisfy their natural instincts, such as observing, exploring, climbing, pouncing and catching. This is especially important for indoor cats that may not be able to find as many interesting and entertaining diversions as their outdoor cousins. Playing is also a sign that your cat is well and in good health: an unhealthy cat is far less likely to want to play. Kittens and young cats tend to be more playful than older animals, but with encouragement, cats of any cage can be coaxed into interacting with games. Here are some classic examples of cat-friendly games from the Perfect Fit™ website. 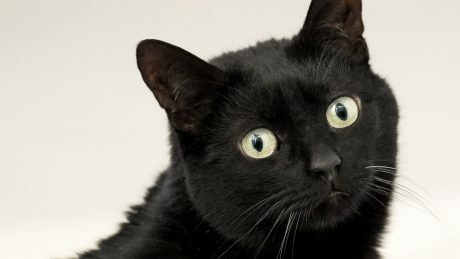 You do need be sure to keep your hands out of cat game, or they are likely to be perceived as prey, and you don’t need to be bitten or scratched to be reminded about you cat’s hunting abilities. Whatever game you play, try to avoid frustrating her by never letting her win: no-one likes to lose over and over again, and occasional “victories” will ensure that she keeps coming back for more. “Winning” means letting her catch the feather, grab the soft toy and even to “kill” the bright laser point of light (at the end of the game, shine it onto a small soft toy under a chair, then switch it off, so that she can grab the toy as her victory). Cats and kittens also love playing with rattling objects, especially when they finds out that the rattling comes from the kibbles inside. You can even make homemade devices, such as a perforated empty plastic bottle filled with kibble that slowly dispenses kibbles when played with. There’s a good argument for feeding cats in small amounts throughout the day, using food-dispensing toys, or even by leaving trails of food around the home for cats to discover. This type of feeding mimics a cat’s natural experience of spending their daytime hunting small prey, and eating small amounts frequently as each creature is caught and consumed. 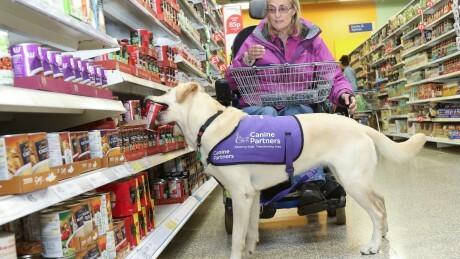 Whenever the overall lifetime costs of keeping a pet are totted up, the daily bill for pet food is, by far, the biggest proportion. While it’s important not to skimp on giving your pet what they like and need, it makes sense to get the best possible value. In my mind, the best way to do this is to choose a top quality food at the best possible price. It also makes sense to take advantage of special offers, and PERFECT FIT™ have one on the go right now. Cat and dog owners can trial PERFECT FIT™ for free, by purchasing a bag and claiming 100% cash back using this link (T&Cs apply).